Food selfies are more than snaps of good food, they’re snaps of good food and the comfort and security of being able to share them. Halifax’s homeless population have neither food nor a place to eat it. When you’re homeless you’re forced by circumstance to search for every meal, with neither money nor a cupboard to put it in. It requires work and creativity to find food. Panhandling, lining up at a soup kitchen, or even dumpster diving are legitimate paths to nourishment when you have no home, no kitchen, no resources, and no food. Fortunately, we have many great organizations working to serve the homeless in our city. Shelters like Metro Turning Point, our largest men’s shelter, provide a temporary roof and—as much as possible—food and support. Shelter Nova Scotia wants a better meal program from a better kitchen for the clients at Metro Turning Point. They want to provide a roof and a meal, in the same place at the same time. This will significantly reduce the immense burden of homelessness just a little bit more. A roof and a meal in one place makes a big difference. The shelter’s ability to provide food to their clients is limited, there are only 8 chairs and 4 tables in the dining area, the kitchen is small, outdated and not functional to prepare the one meal a day for 78 individuals. That’s what the Social Hearth project is all about, as part of this year’s Aviva Community Fund funding competition, Metro Turning Point is seeking funds to build a new kitchen. 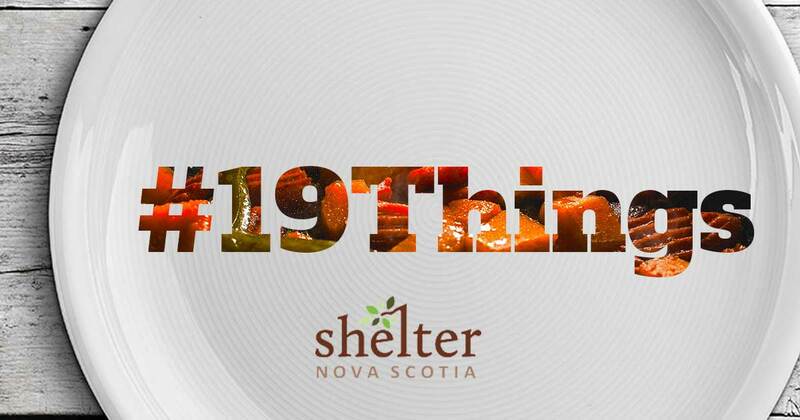 What if we told you you could do 19 things for Halifax’s homeless in just two clicks? You’d do it right? So then click this link and cast your 18 votes in the Aviva Community Fund and once you’re done click Share to encourage your friends to do the same!